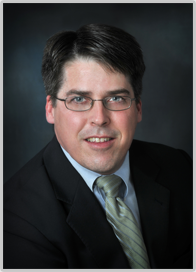 Massachusetts lawyer Brian M. Glover is the founder and principal attorney at Brian M. Glover, Attorney at Law, a New Bedford law office providing advice and representation in real estate transactions and estate planning in New Bedford, Dartmouth, Fairhaven, Acushnet and surrounding areas in Bristol and Plymouth counties. With over a dozen years in the practice of law, Mr. Glover is well-versed in both real estate and estate planning law. He has represented buyers, sellers and lenders in residential real estate transactions, including the negotiating and drafting of purchase and sale agreements and the representation of buyers in purchases of foreclosed bank-owned properties as well as helping financially-distressed homeowners avoid foreclosure through a loan modification or short sale transaction. He is also experienced drafting wills, trusts and other estate planning documents, including advance directives such as health care proxies and living wills for individuals and families. Mr. Glover frequently lectures to buyers, sellers and real estate companies on real estate law topics, including: First Time Homebuyers, How to Buy a Foreclosure or Bank-Owned Property, How to Avoid Foreclosure, and Short Sale Transactions.